Lighting emitting diodes (LEDs) are low-voltage light sources that require a constant DC voltage or current to operate optimally. Because they operate on a low-voltage DC power supply, they can easily adapt to different power suppliers, have longer standby power, and are safer. LEDs require a device that can convert incoming AC power to the proper DC voltage and regulate the current that flows through the LED during operation. 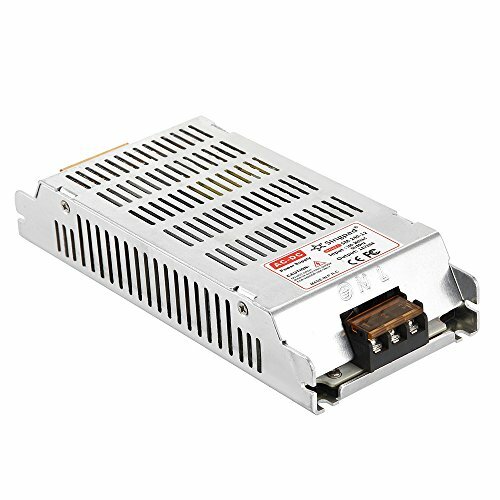 Our Switching Power Supply LED Drivers convert 110V-240V 50~60 Hz AC power to the 12V/24V DC power required by the LEDs and protects them from line-voltage fluctuations. *Constant voltage output, assume stable power supply for LED lightings to reach long lifetime and reduce led light decay. *In-door use only, for this switch power supply is not waterproof. Suitable for Indoor Lighting such as on MR16/MR11/G4 LED spotlight lamps, LED strips, retrofit low voltage LED lighting etc.